Wedding day jitters can easily start well before the actual day. We have put together five easy steps to help calm your nerves and help you prepare for the day you say "I do"! Being prepared days before your big day will help you stay relaxed and allow you to enjoy each moment of your wedding. And lastly have a timeline. Keeping to a timeline will help you keep in schedule but also helps with your nerves. Below find a sample of your wedding Timeline. Download your free printable version here. 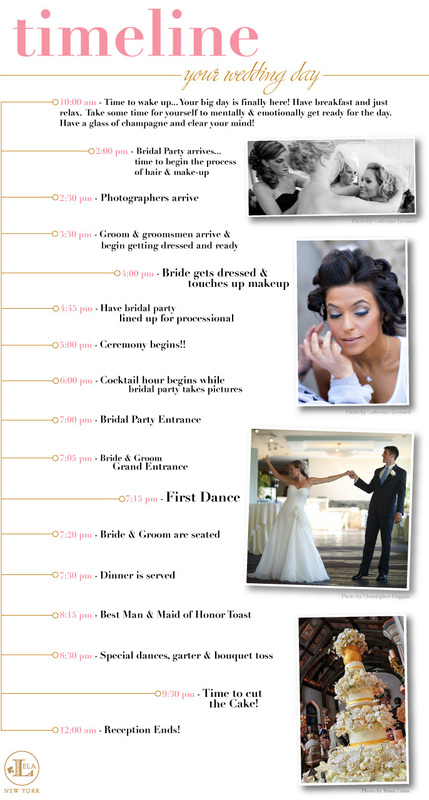 Feel free to change the times to suite your wedding day. And lastly, have FUN! Hi! I love this, but can't get the link to work to download it. Please help! :) Thanks! Hi! If you click on the image it will show up on its own Then right click to download it. Hope that helps! Friday Frocks | Flash Sales!